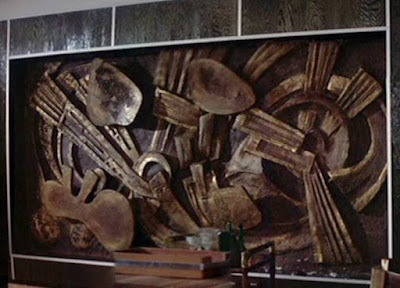 Alien Explorations: HR Giger: Alien Monster IV references wall relief in Douvier's office in "Revenge of the Pink Panther"? 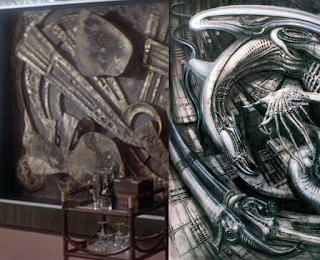 HR Giger: Alien Monster IV references wall relief in Douvier's office in "Revenge of the Pink Panther"? 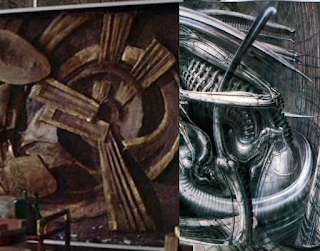 a) "The Revenge of the Pink Panther" was filmed at Shepperton before Alien, and would be released on the 19th of July, 1978. It looks roughly like two people pulling something, perhaps pulling fishing nets out of the water against a sunset in a rather over the top Brutalist manner. 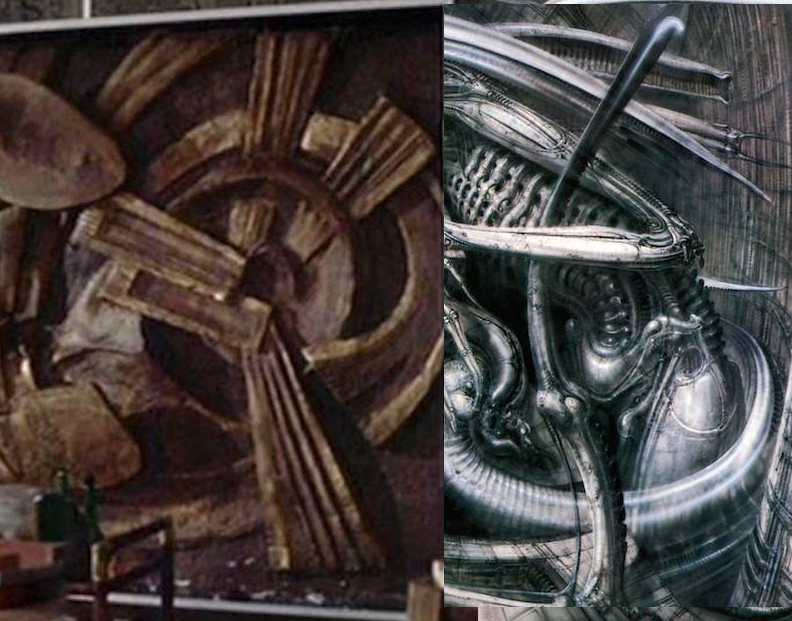 Had Giger come by this relief, perhaps he had seen the film , a photograph or the relief itself if it was to be found around the studios. 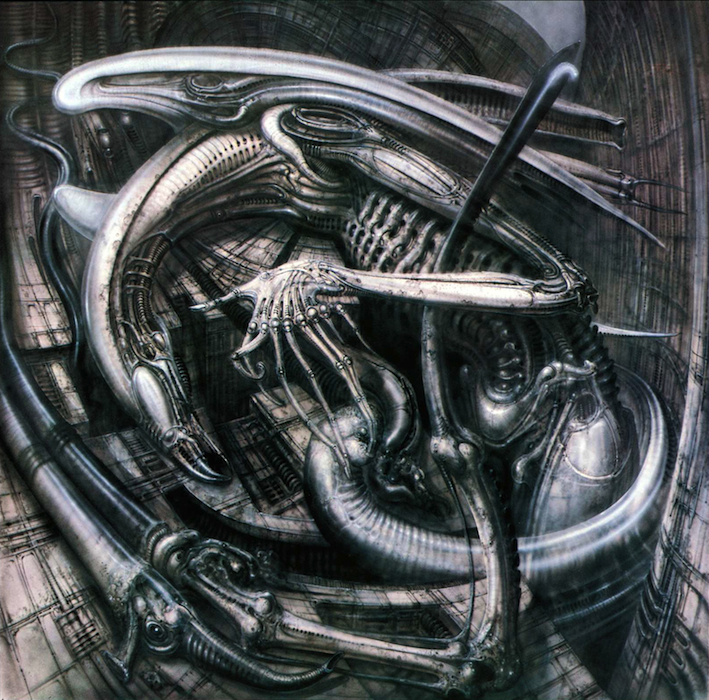 b) The curve of the body resembles the curve of this alien monster's neck. The plate that becomes the head in the relief becomes the shoulder, and then the other similar shaped place also becomes the shoulder. 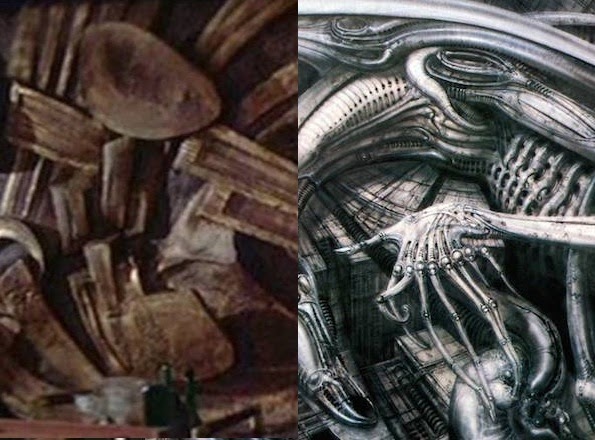 c) It would be though as if Giger chopped the central part of the picture out and merged together the two plate like forms that appear to be heads. 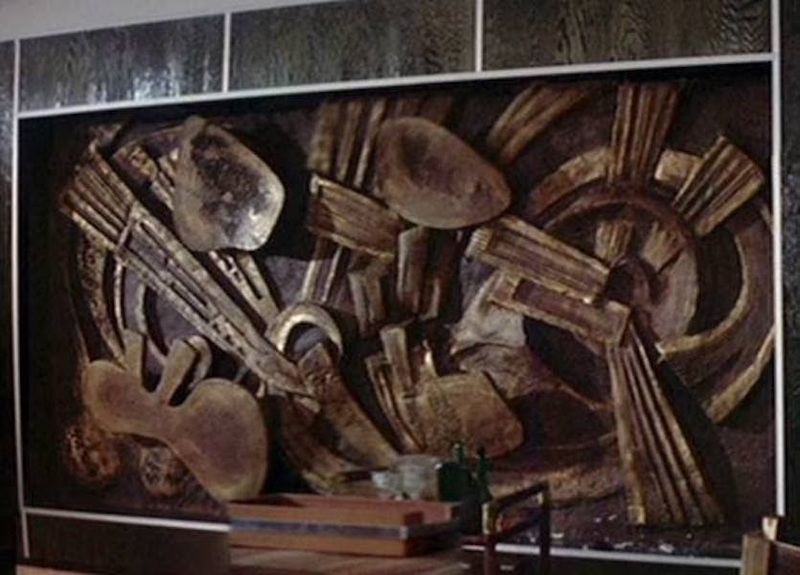 d) So it's as if the strange uneven shape becomes the shoulder and pieces extending to the right become the arm. e) The curving forms in the back of the right of the painting becomes the main body of the creature and the egg tube curving around the lower part of the image, with a vertical ray like form coming from the centre transforms into a vertical wand like form with the glow worm coming out of the top.